Ghanche is one of the most beautiful valleys of Gilgit-Baltistan. Surrounded by lofty mountains, the valley is home to almost 150,000 people. It borders with the Xinjiang province of China in the North-East, and Ladakh area of Indian Administered Kashmir to the South. The capital of Ghanche District is Khaplu. It is believed to be among the coldest inhabited places in Pakistan; it is also known as the ‘third pole’, where temperature drops below 20 degree centigrade. Khaplu valley and Hushe Valley are the gateway for the great Baltoro, Muztagh, and the sub-range of Karakoram that includes the mighty peaks of K2 (8,611 m), Broad Peak (8,047 m), Gasherbrums(8,000+ m) and Masherbrum (7,821 m). Due to its lofty mountains, scenic views and rich heritage, the valley attracts thousands of tourists every year. According to the sources more than one lac domestic and international visited Ghanche in 2016. The first tourist point of the district Ghanche is Chaqchan Mosque. 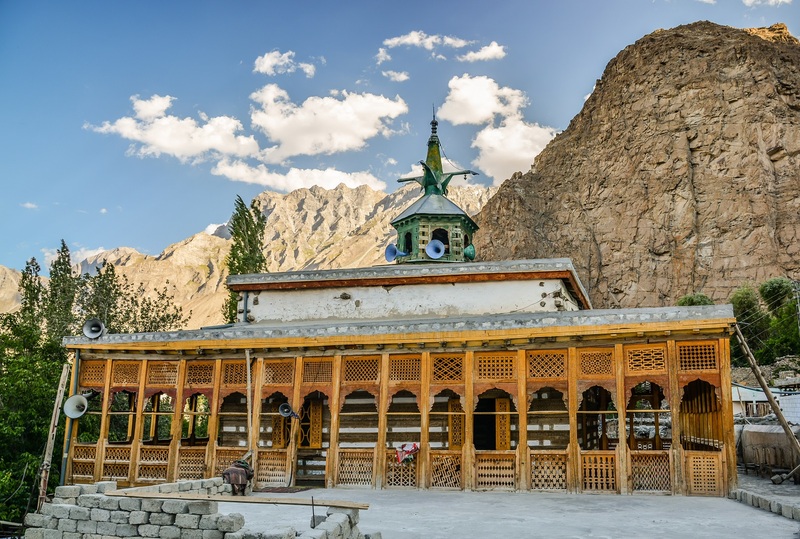 Located in Khaplu, the mosque was built by Mir Sayyid Ali Hamadani in 1370(A.D). It is one of the oldest mosques in Asia. It is one of Baltistan’s most famous landmarks and a major source of tourist attraction. The Government of Pakistan has listed the Chaqchan Mosque as a national Heritage Site. It is said that this mosque was the worship place of the Buddhists, some 700 hundreds years ago. Later, it turned into Mosque after the region’s entire population accepted Islam. The mosque consist of three floors. The top flour of this mosque is in the possession of Noorbakhshia sect ( Noorbakhshia is a sect of Islam like Sunni and shia), to which 90% of the population of the district Ghanche belongs. The Shia sect is responsible for the middle floor of the Chaqchen mosque. The architecture of this mosque reflects the civilization of Islam. It is made of mud, stones and wood. Wood carvings adorn the inner and outer surface of the mosque. 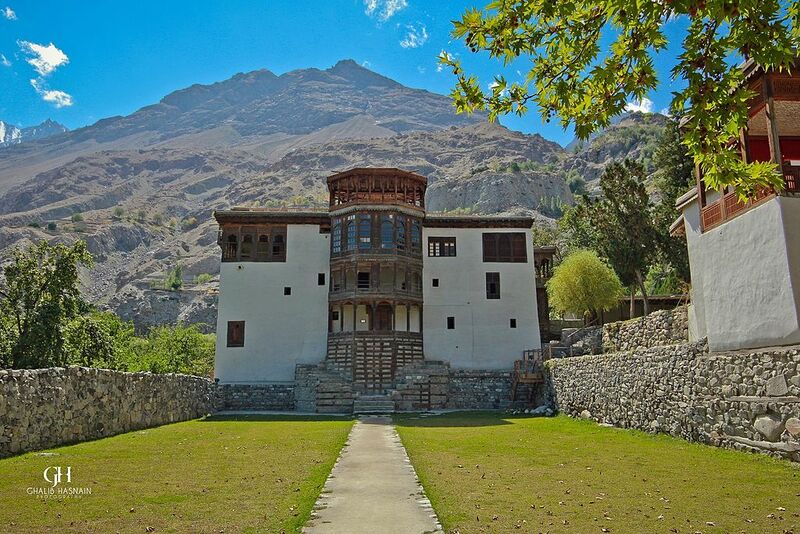 The second major tourist attraction in the valley is the Khaplu Fort, locally known as Yabgo Khar. The Khaplu Fort was built in 1840 by the Yabgo Raja Daulat Ali Khan of Khaplu after the Dogra of Kashmir who captured the region decided to move the seat of government from the old fort. The fort is considered to be an architectural heritage and a tourist attraction, as it has served as a royal residence. Earlier, the fort stood in a very vulnerable conditions. However, it underwent a restoration, carried out by the Aga Khan Trust for Culture under the Aga Khan Historic Cities Programme in 2005. The renovation work was completed in 2011. The fort now houses a hotel operated by Serena and a museum depicting the history and culture of Baltistan. At the distance of nearly 55 Km from Khaplu town, a hot spring is situated in Kondus village. The water of the this spring is so hot that eggs can be boiled in it. 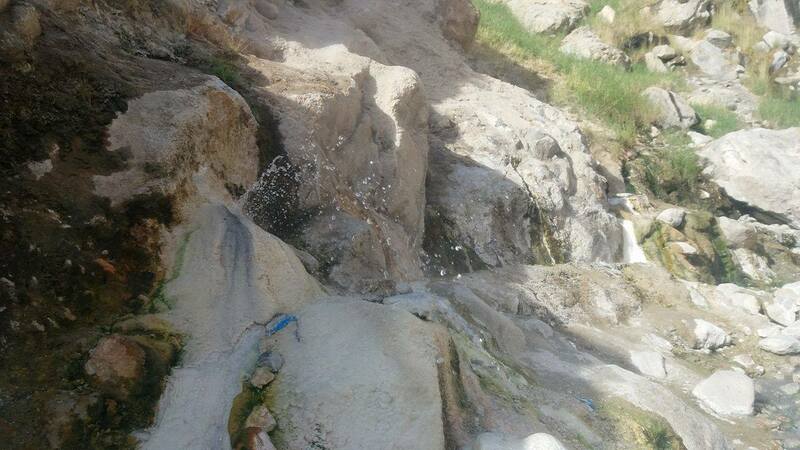 A material locally called Phultoq is found in the surrounding of the hot spring, which is used by the locals as a medicine, mixed with tea, for curing blood pressure, and other diseases. Ghanche also has many lakes, glaciers, lush green pastures, valleys and plateaus. Locals celebrate several festivals, like Jashn-e- Navroz, Spring Blossom Festival, Jashan-e-Ghanche, Rock Climbing Festival, Mehfil-e-Mushaira, Cultural Shows, Musical Night, Skin Chan Bargum and Mindo Ltanmo, to name a few. The more interesting aspect of life in Ghanche is that the crime rate is zero. No murders or major crimes are reported for decades. 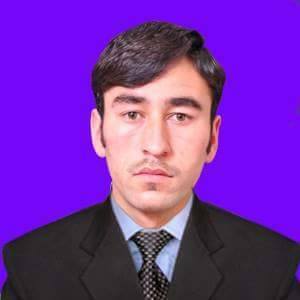 of this valley is that the crime rate is zero; no case of murder has been reported in the region for the last several decades. The people of this region are very peaceful, polite, hospitable, sociable and beautiful. Although, the literacy rate of this region is higher as compared to other districts of Pakistan, but the youth of this valley are still deprived of higher education facility.